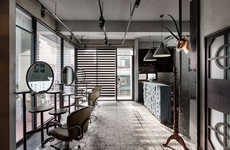 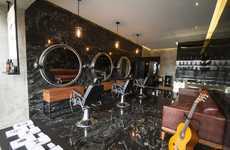 This upscale hair salon is located in the quiet Swiss town of Laufen, which resides in the canton of Basel-Country. 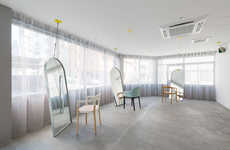 The spacious interior almost resembles a Yin Yang symbol in that half of its space is moody, dark and black, while the other is well-lit, white and vibrant. 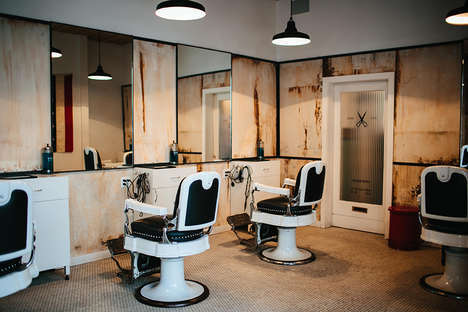 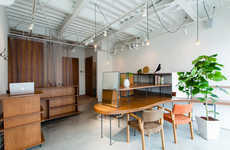 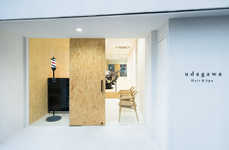 The intriguing space is the Kuntzmann le Coiffeur's new home, having recently moved into it from a smaller former home. 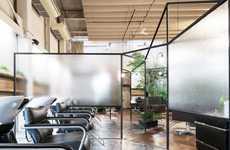 The long black wall is magnetic and serves as a moodboard for the employees, while it also features an elevated stage portion on which the hair-washing chairs sit. 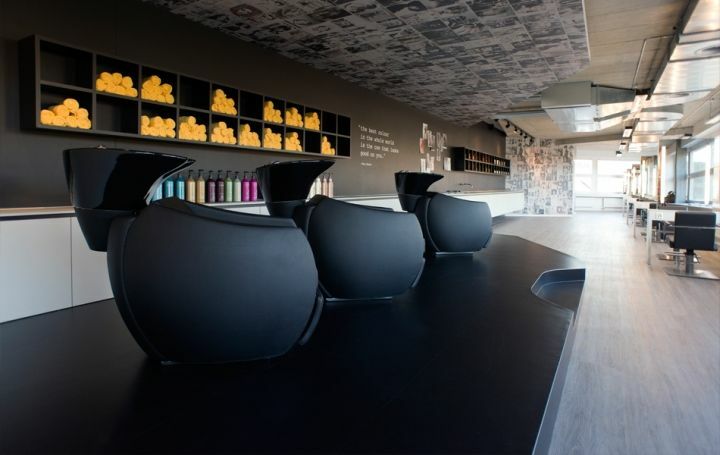 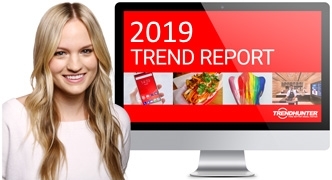 The chic hair salon uses bright towels and makes the most of its monochrome color scheme by adding subtle pops of color whenever possible, including an Instagram-worthy gradient display of various colorfully packaged shampoos.